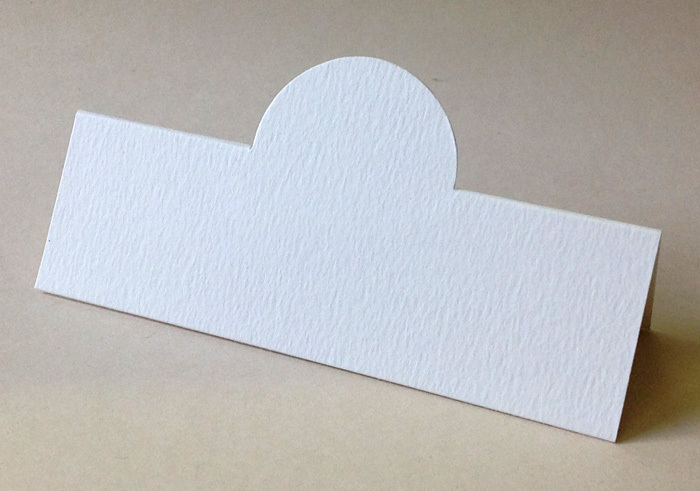 Our pop-up place cards offer a great alternative to the traditional straight edged version - the "pop-up" is just perfect for embellishments etc. If you like the idea of these, but are worried about printing, drop us an email and we'll be happy to discuss your requirements. Accent Antique, Fresco and Tintoretto are beautiful matte cards with a subtley textured surface. This double sided, 300gsm card is 100% Acid Free & FSC Certified, meaning it comes from responsibly managed forests.